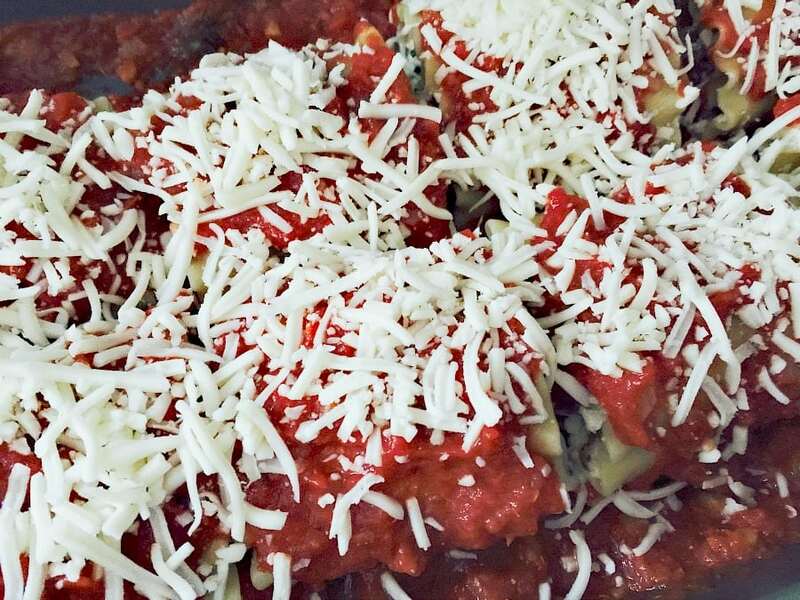 Perfectly portioned Lasagna Roll Ups use poultry sausage, frozen spinach, and 3 cheeses to make a crowd pleasing dinner! 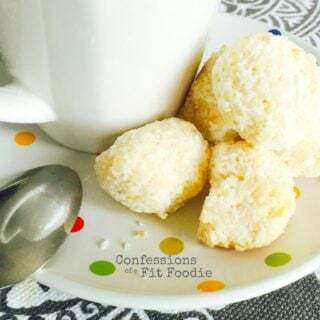 Do yourself a favor and make a double batch- they freeze well! I remember the first time I made lasagna roll ups. This was back when I was dating my now husband. His brother and father were coming over for dinner and I planned to make a real lasagna. And then, like many of my days before kids, I procrastinated a little too long was SO busy, I lost track of time. Does anyone else wonder what the heck you did with your minutes, hours, days before kids? Anyway, thanks to Rachel Ray, I decided to give lasagna roll ups a try and they were a huge hit! And so easy and quick. 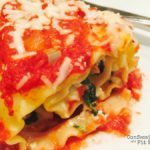 These FIX approved roll ups with spinach and turkey sausage were also a huge hit in my house and the perfect make ahead meal for a winter night. You could go nuts with sauteed veggies and fill them however you want. I took the easy way out and used frozen spinach and they were YUMMY. I love that these are perfectly portion controlled so you can indulge while keeping your containers in check. I made 8 roll ups, which was perfect for 4 servings. If you give this one a try, let me know what you think! 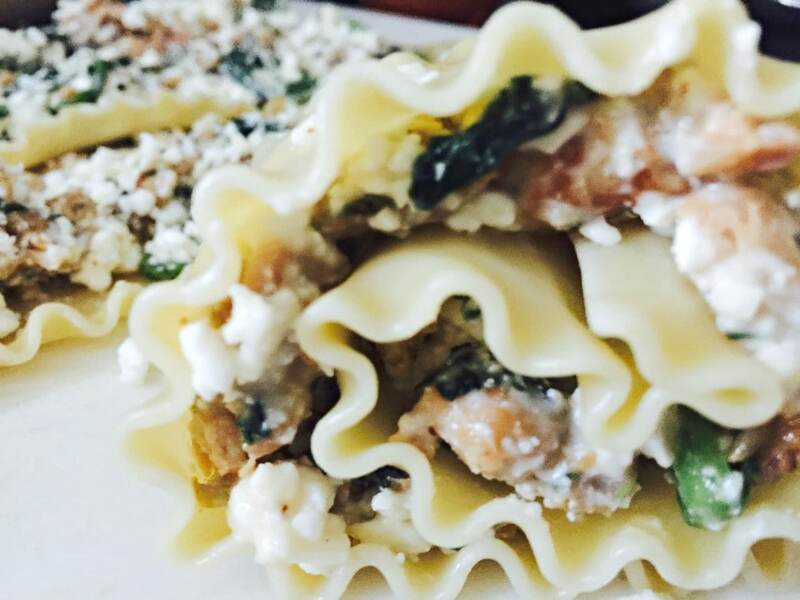 Looking for a no-yellow or gluten free lasagna? 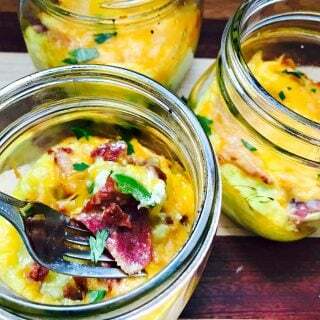 Try my version with Spaghetti Squash. Another one of my favs! While noodles are cooking, spray pan with olive oil spray and cook sausage until browned and no pink remains. Remove from heat, drain, and let cool slightly. 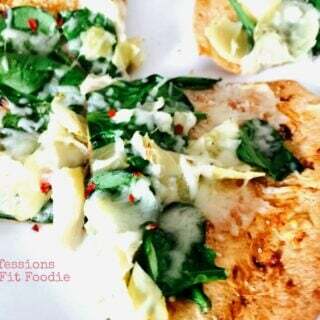 Combine cooked sausage, spinach, ricotta, Parmesan, HALF of the mozzarella, egg, salt, black and red pepper (if using) in a medium bowl. 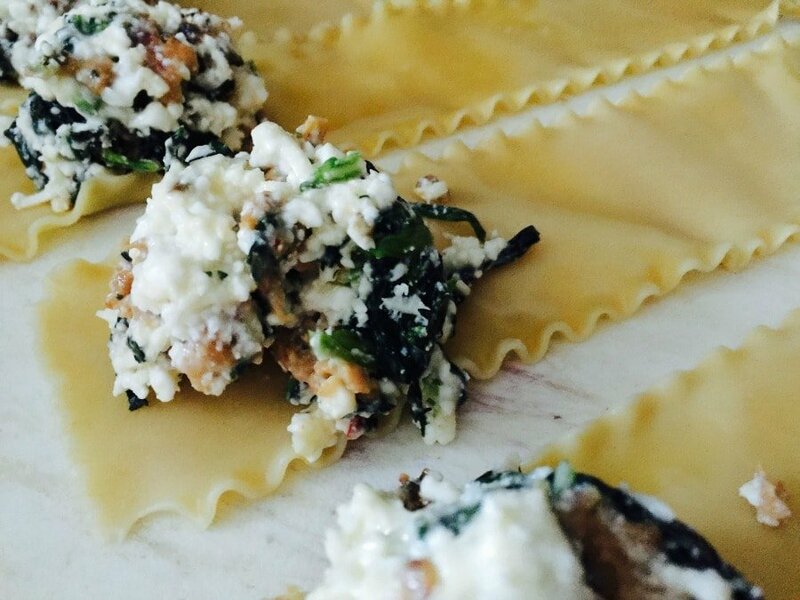 Place a piece of wax or parchment paper on the counter and lay out lasagna noodles. If necessary, pat noodles dry with paper toweling. Take about 1/3 cup of sausage mixture and spread evenly over one noodle. Repeat until all noodles are covered. Roll each noodle carefully and place seam side down into the baking dish. Ladle more sauce over top the roll ups in the baking dish. Sprinkle remaining 1/2 cup of mozzarella cheese over noodles. Cover and bake for 25-30 minutes, or until cheese melts. Uncover for the last few minutes if desired. Sounds yummy…shouldn’t a yellow container be counted? I like the way you think, Freddie! Pour the wine! This was amazing! I have made lasagna rolls before and they were always missing something. Figured out last night that it was the Italian sausage! So yummy! My husband loved it, too. Will be adding it to my “cook again” list! This made my day! 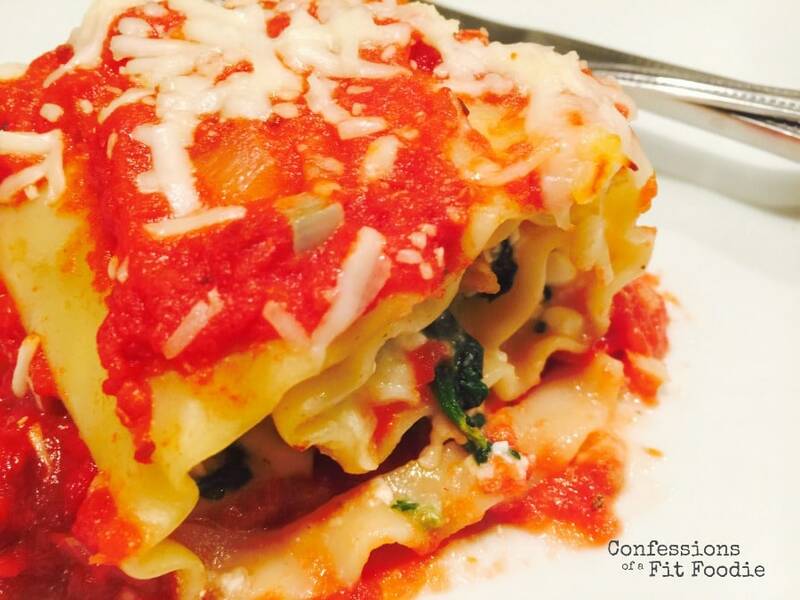 Thanks for the great comment – and I totally agree…Italian sausage adds so much flavor while keeping it light! Thanks again! How many rolls is considered a serving? I seemed to have almost 1.5 cups of filling left over. Why? I followed the recipe exactly as listed but if you only put 1/3 cup filling on 8 noodles you will be left with the same amount as I did. Was there a typo in the amounts?? I’m not sure…I’ve made this a bunch of times and never had anything leftover? You can make more rolls then! 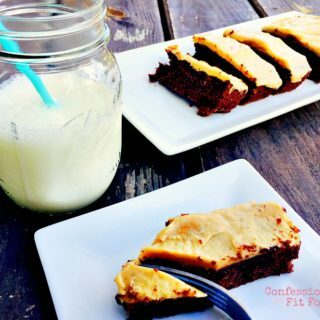 Could you make these ahead and make them the next day or would the cottage cheese get too runy? Not at all!! I LOVE prepping these ahead of time!! They even freeze great!! 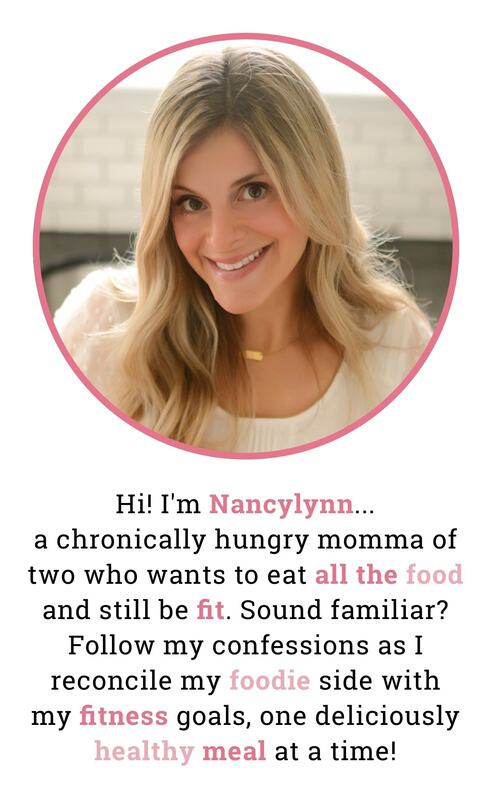 I’m enjoying your blog Nancylynn! I remember you from Clio although I think you may have been an alumni by the time I pledged (2001). I made these last night for my husband and I could tell he liked them because he took some leftovers to work today, which is rare. Having the individual portions was a fun presentation and helped me split up the recipe between his and mine — I made some meat-free for me and then added pork sausage to make his. I made 12 rolls instead of 8, doubled the egg and cheese, and added some dried Italian seasoning mix as well as some fresh herbs I had on hand. Also added some onions when I cooked the sausage. Next time I will add fresh garlic to the mix — I used garlic powder this time because I was feeling to lazy to peel the cloves but I don’t think it really did much flavor-wise. I like how flexible this recipe is and I look forward to experimenting with it again. Thanks for the great recipes and inspiration! Can I leave the egg out? My son is allergic to eggs.